A prolific songwriter for nearly twenty years, Laura Veirs proves the depth of her musical skill on her tenth solo album, The Lookout. Here is a batch of inimitable, churning, exquisite folk-pop songs; a concept album about the fragility of precious things. Produced by Grammy-nominated Tucker Martine, Veirs’ longtime collaborator, The Lookout is a soundtrack for turbulent times, full of allusions to protectors: the camper stoking a watch fire, a mother tending her children, a sailor in a crows nest and a lightning rod channelling energy. Written and produced on the heels of Veirs’ acclaimed album with Neko Case and kd Lang (case/lang/veirs), The Lookout integrates the fluency of collaboration with Veirs’ notorious work ethic. The twelve songs on the album are the result of a years’ worth of daily writing in her attic studio in Portland, Oregon. 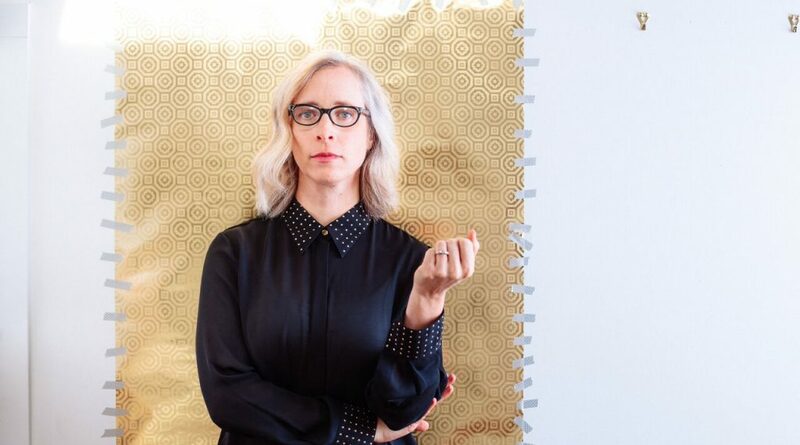 Laura Veirs grew up in Colorado Springs, Colorado, where she often spent summers camping with her family, which gave her much of her songwriting inspiration. Veirs has said that she didn’t seriously listen to music until she was in her 20s; instead, she just heard what was in her environment. She listened to folk, country, classical and pop music around the house and on the radio during her youth. Attending Carleton College in rural Minnesota, Veirs latched onto feminist punk rock from the Pacific Northwest, eventually starting an all-female punk band called “Rair Kx!”. Laura studied geology and Mandarin Chinese. After college, she embraced older country and folk music. Her first foray into songwriting started with a geological expedition in China, where she served as translator. She was miserable and immersed herself into writing lyrics as a way of coping.